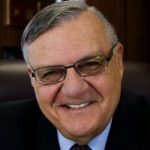 Joe Arpaio: I Love Ben & Jerry’s Ice Cream. I Can No Longer Support Them. Cherry Garcia. Chunky Monkey. Phish Food. These are just some of the flavors that Ben & Jerry’s fans have grown to love over the years. And why shouldn’t they? It’s good ice cream. For years, I’ve considered myself a fan of their ice cream. That is officially no longer the case. Why? Because of partisan politics. Before I get into that mess, let’s go back to March 2016. Bernie Sanders’ wife, Jane O’Meara Sanders, was visiting the Tent City Jail. Bernie, in typical leftist form, was none too pleased with Jane daring to give an opposing view the time of day. For the record, Jane and I were totally professional and cordial with each other. Sanders’ ire eventually manifested in the form of a veiled threat against me. Do you agree with Sheriff Joe? Obviously, Sanders never became president. But you know what he got for threatening to use presidential powers against an American citizen? He got an ice cream flavor named after him. Shortly after the Tent City Jail incident, Ben & Jerry’s introduced “Bernie’s Yearning” ice cream flavor. That’s not exactly a major surprise considering how close Bernie and the Ben & Jerry’s founders, Ben Cohen and Jerry Greenfield, are. Unfortunately, for Ben & Jerry’s, that was just the tip of the political iceberg. Now, the Burlington, Vermont-based ice cream company is introducing seven new flavors, touting liberal Democratic candidates in Pennsylvania, Ohio, Illinois, Iowa, Kansas, Colorado and California (as reported by USA Today). On the one hand, it’s a pretty clear indictment of the Democratic party that they need to rely on ice cream to help campaign. On the other hand, it’s a little sad to watch the maker of an ice cream I enjoyed so much delve into hackneyed partisan politics. Just to be clear, I am not calling for a boycott of Ben & Jerry’s. I’m calling for accountability and fairness. You know what would be fair? If Ben & Jerry’s introduced ice cream flavors also supporting conservative candidates. If Ben & Jerry’s takes me up on this, it won’t be for free. But I would reroute any money I receive to charitable conservative causes. If not, I’ll simply find another ice cream company to compete with Ben & Jerry’s. Fair is fair, even in business. After all, Republicans buy ice cream, too. That’s all I’m asking for. Fairness. The leftist media has already lost any shred of fairness when it comes to covering politics. I don’t want to see something as bipartisan as dessert follow the same suit. It’s impossible to turn on a television show or watch a sporting event in 2018 where partisan, liberal politics are not being stuffed down our throats. Now I have to deal with partisan, liberal politics being stuffed down my throat with ice cream? No thank you.